See this theme in action. 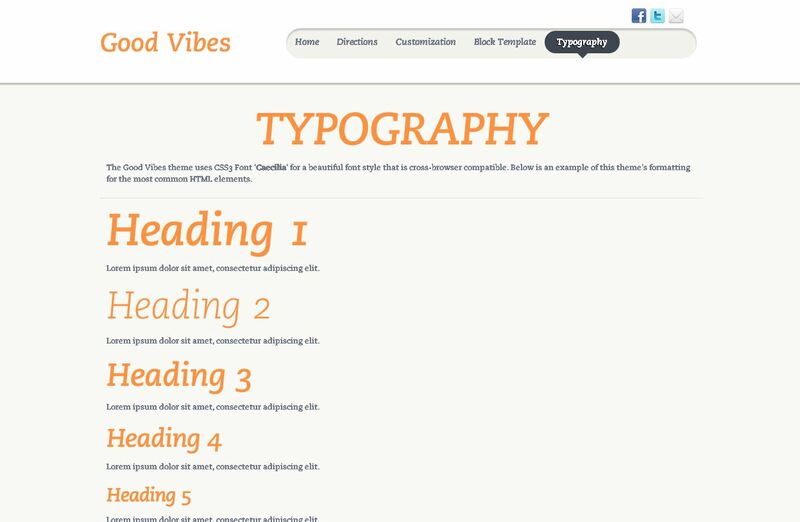 Get some positive energy flowing with this warm and inviting theme. 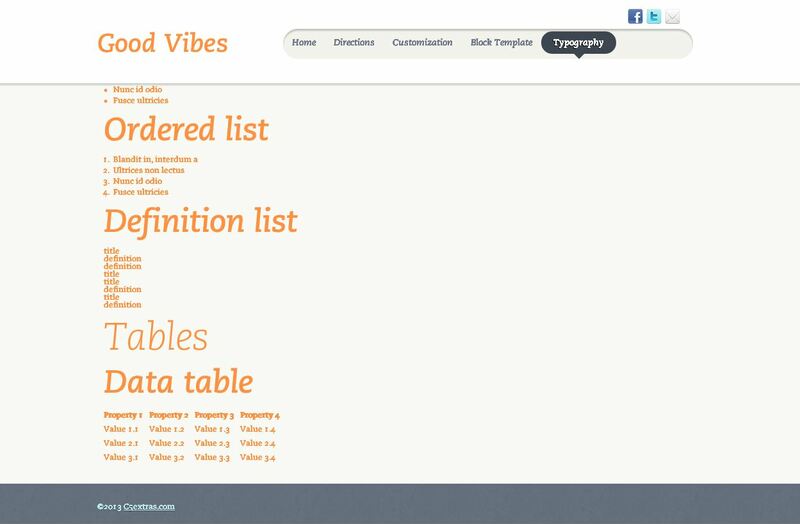 This is an incredible new single-scroll, all-in-1 style template. It is super easy to use with your existing Concrete5 skills. Please check out the demo to see in action and for simple step-by-step instructions on how to use it. It'll put a smile on your face! 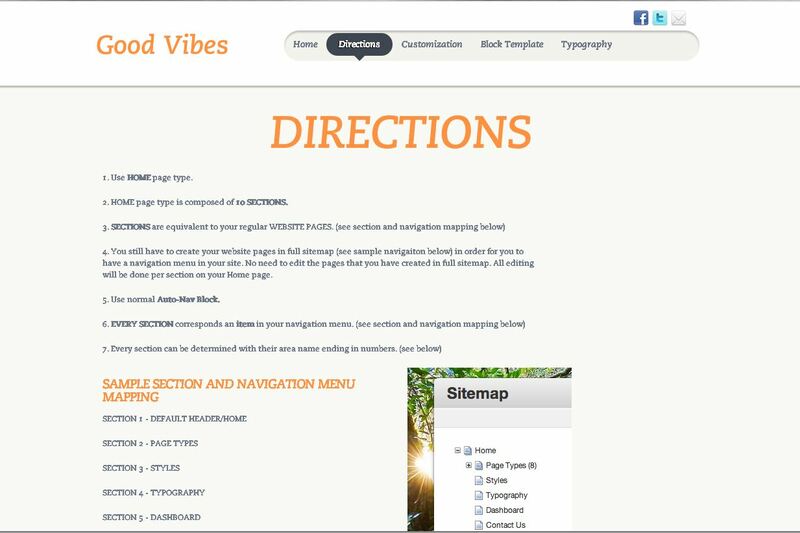 The fixed navigation menu means the user can reach your menu without having to scroll up the page. A subtle background colour indicates what the active "page" is, and clicking the navigation menu results in a neat scrolling animation, so the visitor does not need to wait for pages to load. Nirvana! 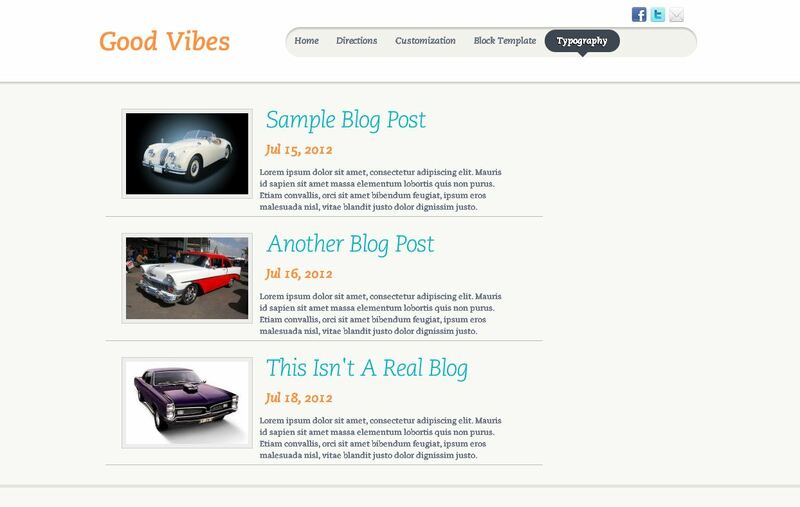 With a mobile-optimised fully responsive layout, this theme will look awesome on any device. 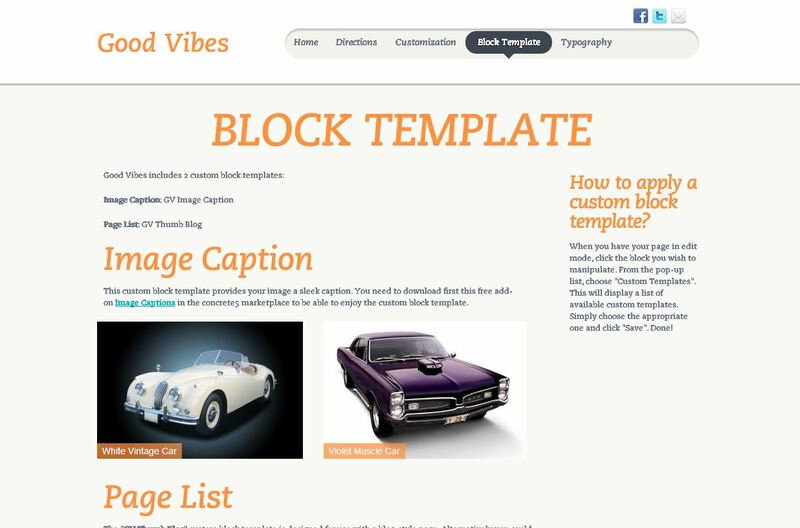 Good Vibes shares the love with: dozens of customisable colours, mobile-friendly responsive design, 2 page types with almost unlimited layout combinations, a "page list" block template perfect for a news or blog style page, and "image caption" block template to make your images sing. 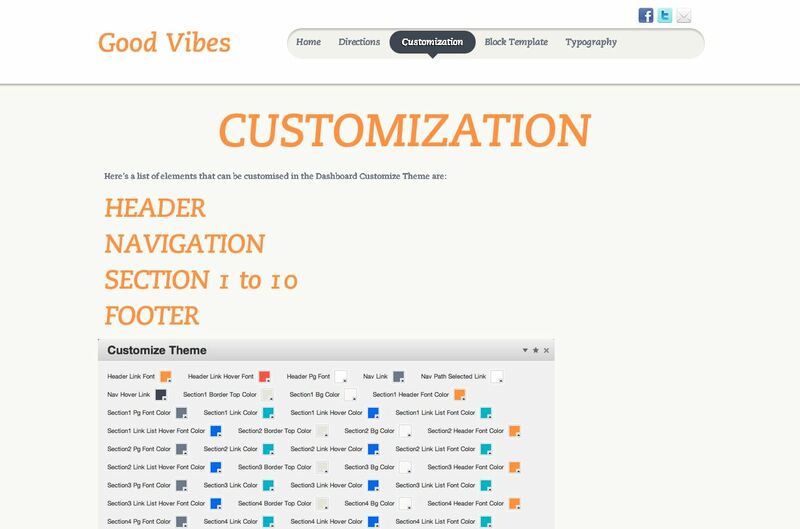 All our themes are backed with fast, friendly expert support so you can purchase with peace of mind. 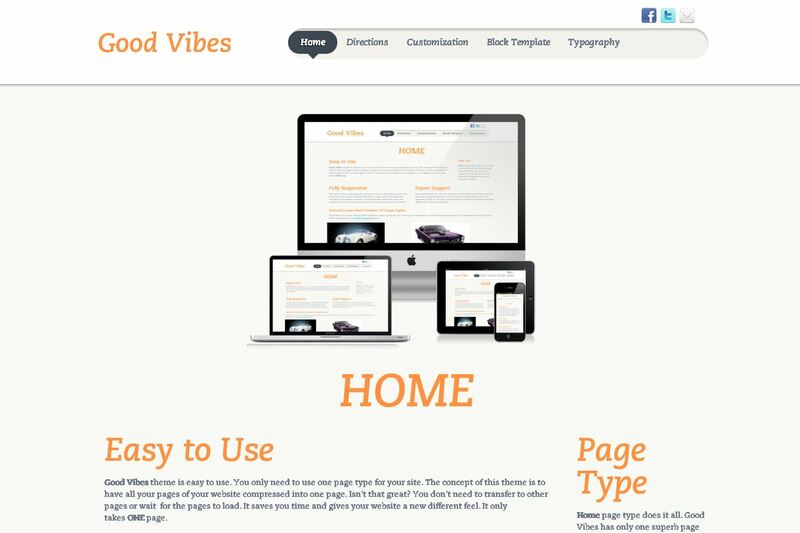 Make the smart choice for your website and choose Good Vibes.